18000, Crewe Railway Age, 14 August 2004 1. The shell of the gas turbine loco built in Switzerland by Brown Boveri for the GWR but not delivered until 1949, after nationalisation. It was not a success and after withdrawal in 1960 was returned to Switzerland, where its gas turbine equipment was removed. 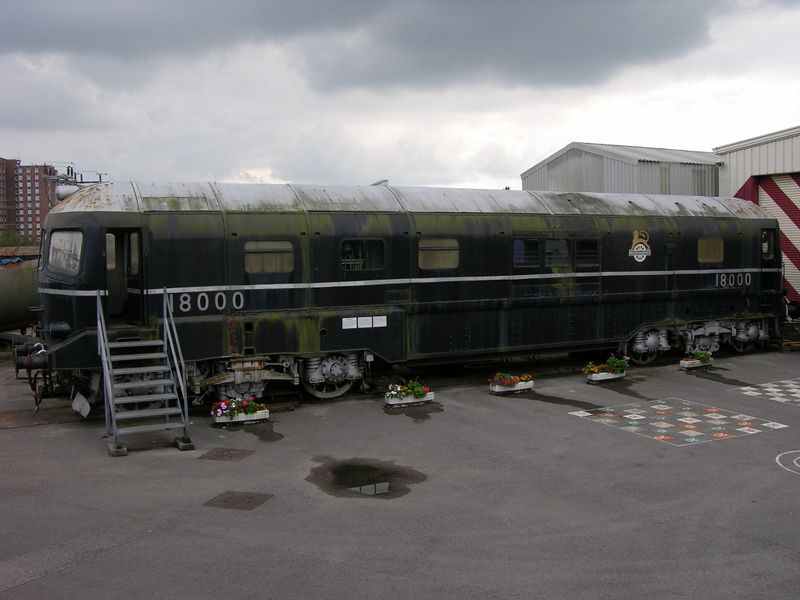 The shell was repatriated in 1996, and in 2017 was at Didcot.